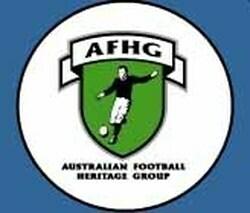 After twelve years in the football wilderness the VFA joined the ANFC in 1949 as a non-voting member. This provided them access to interstate matches against the top-level leagues across Australia and a place in the National Carnival. It also marked the first time since 1896 that the VFA had official status as a Victorian interstate representative team. All but three of the players in the National Carnival team wore the borderless VFA shield patch shown above left. The other three players - presumably the captain, vice-captain and deputy vice-captain - wore a more detailed shield that featured a black and white border and had the letters V.F.A. intersecting to create a monogram (above right). From the early-1900s to the mid-1970s teams Australia-wide had two colour choices for their shorts... black or white. The South Australian State team were the first side known to have worn a different colour when they switched to navy blue shorts in July 1923. 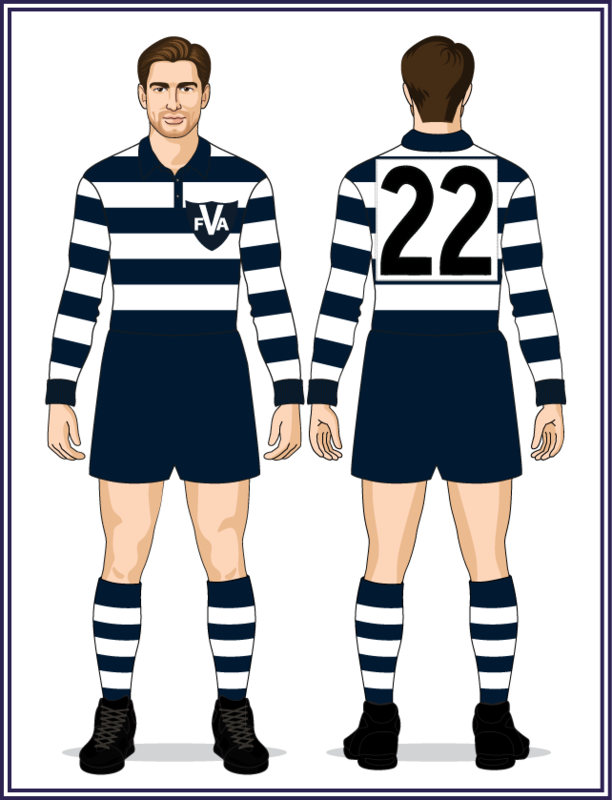 The 1950 VFA representative team were the second to make the switch to navy blue (the VFL later followed in 1967 and 1973). 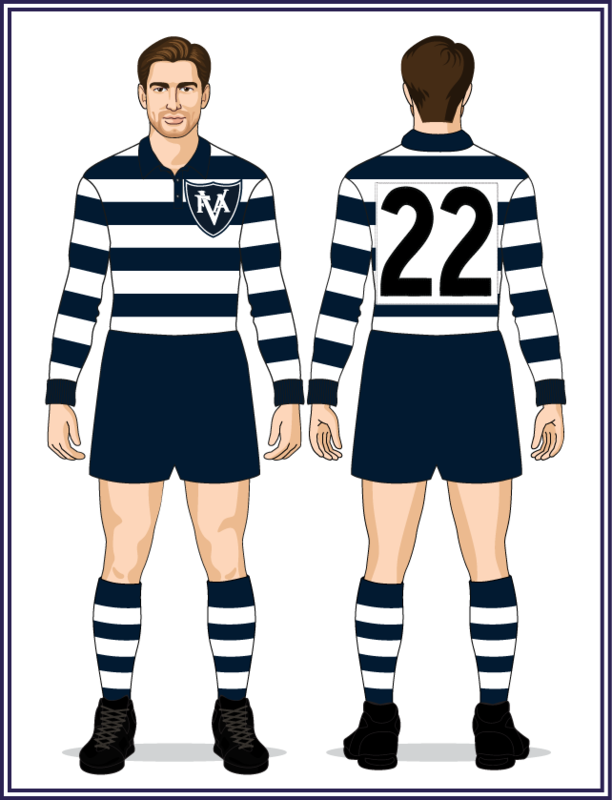 The same design as 1950, except all players now wore the more detailed VFA shield featuring the border and the monogram. The number panel on the rear of the jumper was also marginally higher than in 1950. The hoops were thinner on this jumper (5 full navy blue hoops and 5 full white hoops compared to 4 and 3 respectively on the 1950-51 design). The VFA shield was the same design as 1951 but was reduced in size to maintain its perspective against the thinner hoops. A return to the design previously worn in 1951. The exact layout of the hoops on this uniform remains unknown at this time. Research is continuing and this information will be added as soon it is discovered. Please contact me if you can provide any images of this uniform. The hoops were slightly thinner on this jumper (4 full navy blue hoops and 4 full white hoops compared to 4 and 3 respectively on the 1958 design). The VFA shield was the same size as 1958 but was moved higher to ensure the top/bottom edges finished within the white hoops. The exact layout of the hoops on these uniforms remains unknown at this time. Research is continuing and this information will be added as soon it is discovered. A sleeveless version of the 1953-57 design, but with the VFA shield placed higher than on that jumper. During the late 1950s/early 1960s the use of sleeveless jumpers became widespread at club level. Victoria and South Australia in 1961 were the first States to join this trend, closely followed by Western Australia in 1962. This 1965 design was the first sleeveless jumper produced for the VFA representative team and from this point onward long-sleeved jumpers were only issued on request. - a sleeveless version of the 1961 design (4 full navy blue hoops and 4 full white hoops). 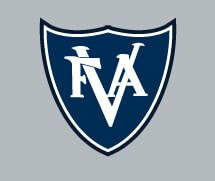 - the VFA shield became smaller and appeared on a navy blue square for the first time. - the other change was a move to white shorts as part of the official uniform (black shorts were still worn against the VFL in 1966). 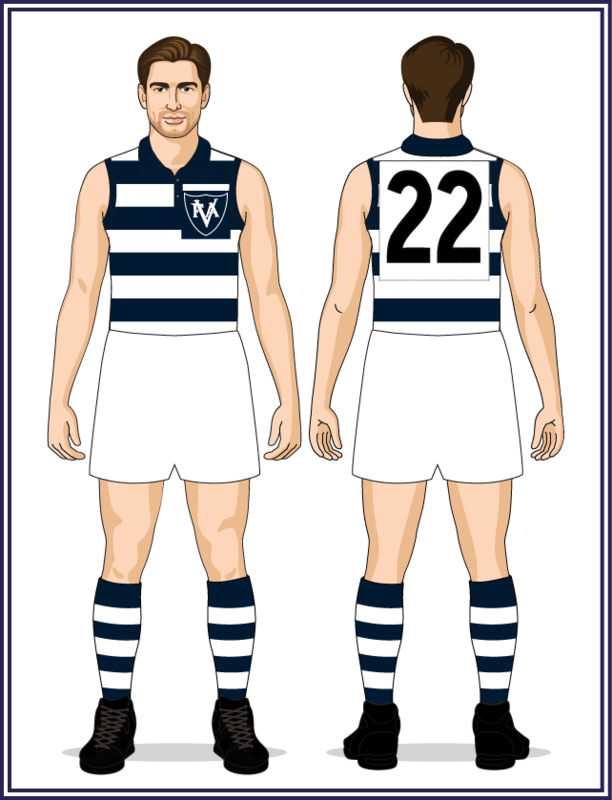 Same hoop pattern as 1966 (4 full navy blue hoops and 4 full white hoops) but they were positioned differently on the jumper (this meant the shoulders were now navy blue instead of white).